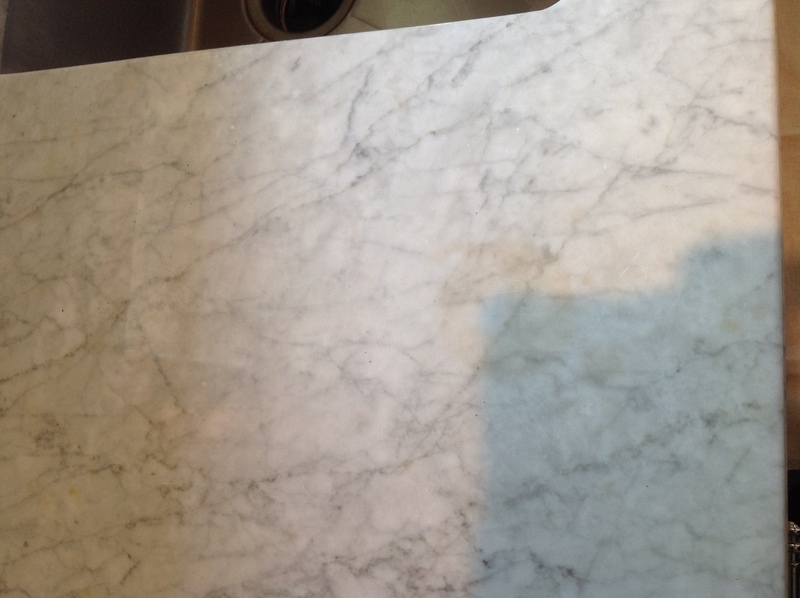 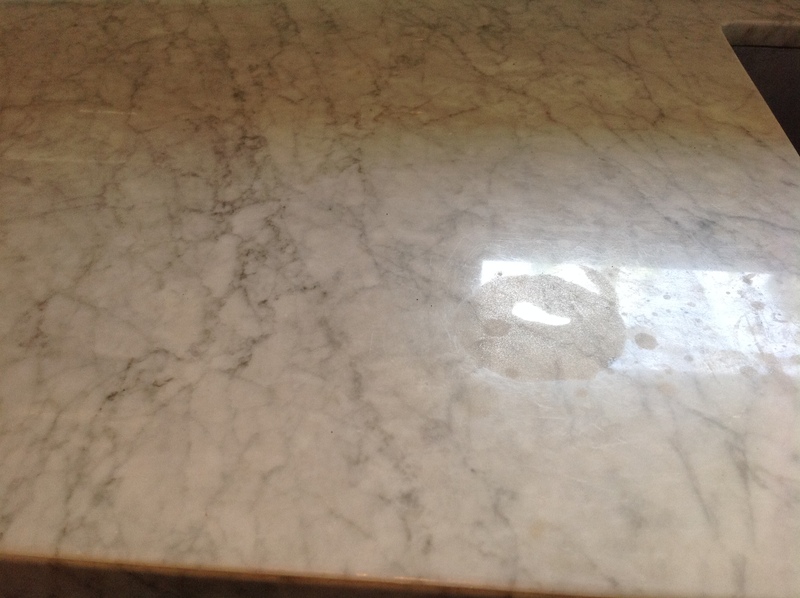 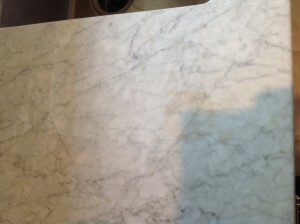 In these before pics of the white carrara marble, you can see etch marks (or burns in the stone ) caused by chlorine acid or some other harsh chemicals. 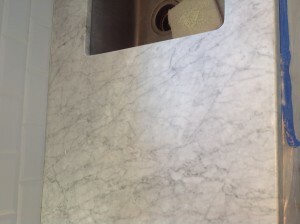 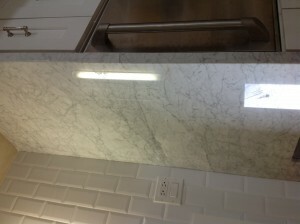 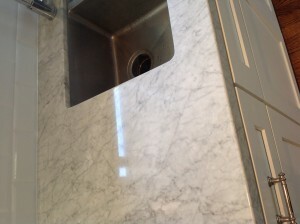 There were at least 40 drip marks through out the marble counters, some of them really deep. 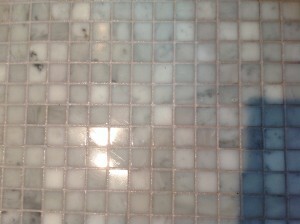 The grout in the bathroom shower was pink from soap scum and body oils, and the grout outside the shower was black and it should be white. 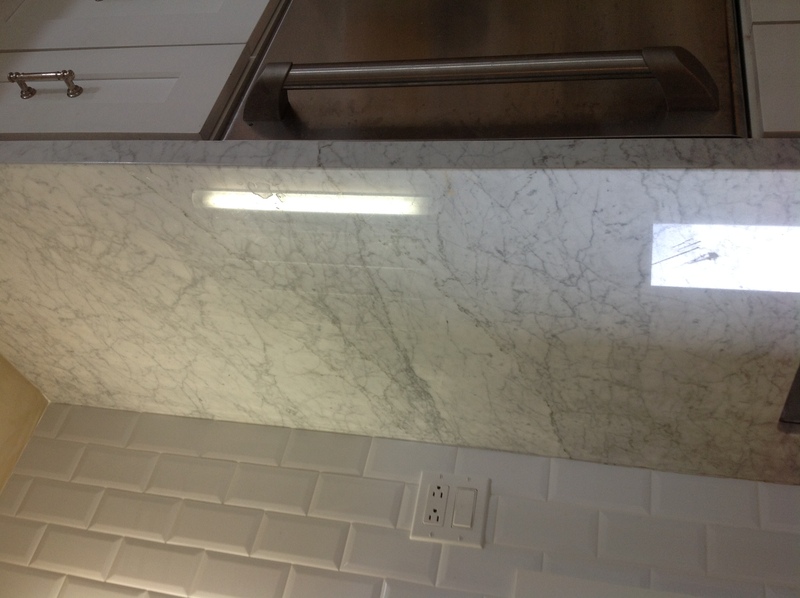 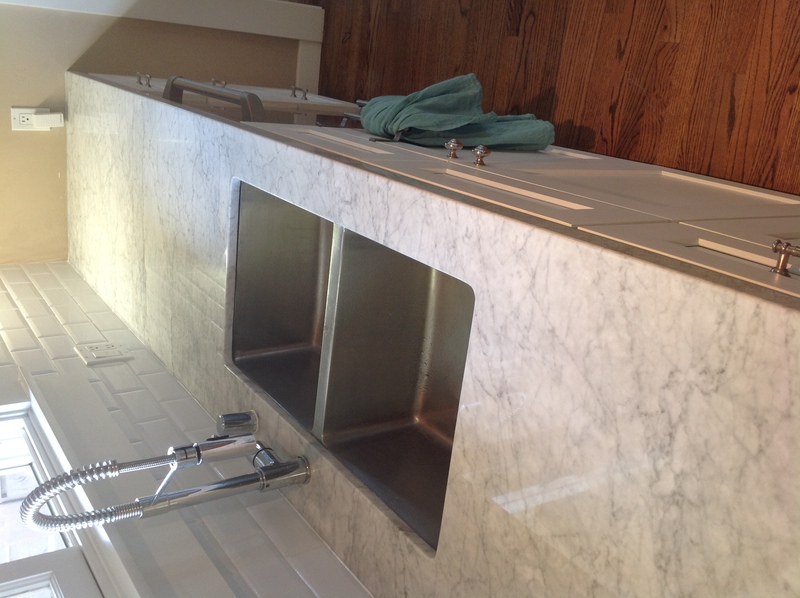 In the after pics below you can see we polished out all of the etch marks, cleaned all of the white carrara marble counter, floor, and grout, and sealed them with 2 coats of penetrating sealer. 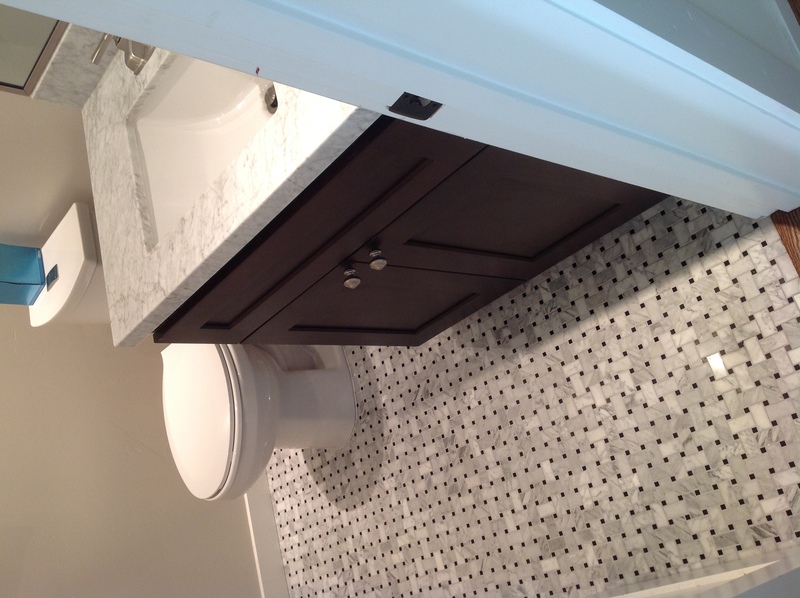 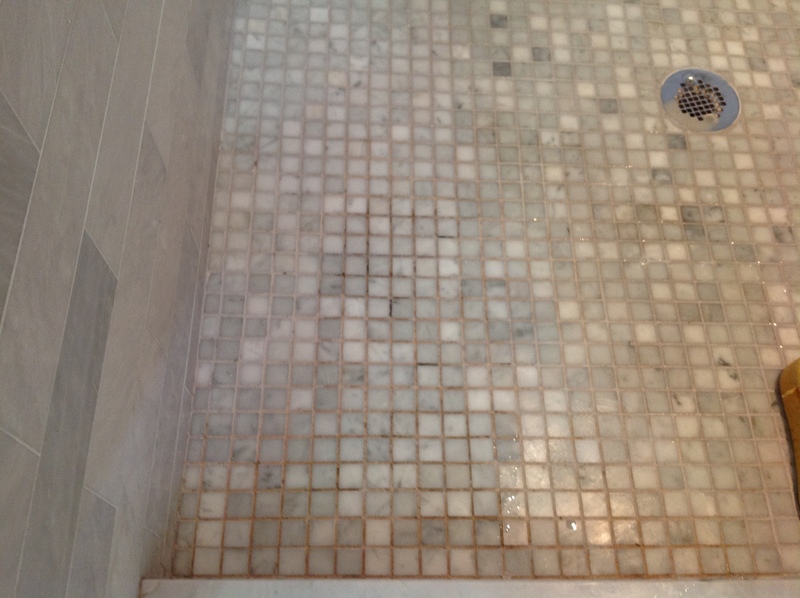 California Tile Restoration also restores granite, flagstone, slate, terrazzo, marble, limestone, & travertine in northern and southern California in cities and counties such as Placerville, Sacramento County, Auburn, San Jose, Petaluma, San Francisco, Marin County, Napa County, San Diego County, Carlsbad, Pasadena, Riverside County, Los Angeles County, Santa Rosa, San Mateo Long Beach, Malibu, Beverley Hills, Orange County, Rancho Santa Fe, Hidden Hills, Torrey Pines, San Joaquin Valley, Stockton, Modesto, Antioch, Concord, Pittsburg, Chula Vista Oceanside, Escondido, Monterey, El Cajon, Vista, Encinitas. 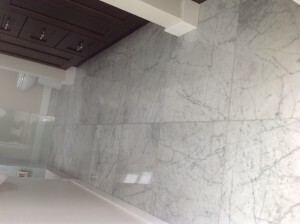 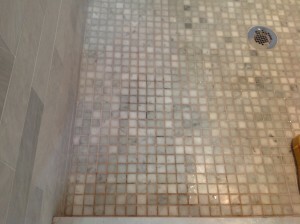 We refinish tile and retore marble in La Mesa National City, Coronado, Del Mar, Cardiff By The Sea, Leucadia, Imperial Beach, Lemon Grove, Poway San Marcos, Santee Solana Beach, 4S Ranch, Alpine, Fairbanks Ranch, Ballena, Fallbrook, Barret Junction, Fernbrook, Blossom Valley, Flinn Springs, Bonita, Four Corners, Bonsall, Granite Hills, Borrego Springs, Guatay, Bostonia, Pomona, Hidden Meadows, Daly City, Hayward, Oakland, Folsom, Vallejo, Berkeley, Emeryville, Piedmont, San Rafael, Tiburon, Belvedere, Santa Monica, Santa Cruz.